Packaging has always been one of the most important facets of marketing. As you drive past a car dealership, will you be more drawn to the practical blue sedan, or the bright red sports car? As our senses are bombarded by an ever-increasing barrage of ads vying for our attention, the way a product is packaged matters more than ever – particularly because of how we relate to brands in the age of social media. 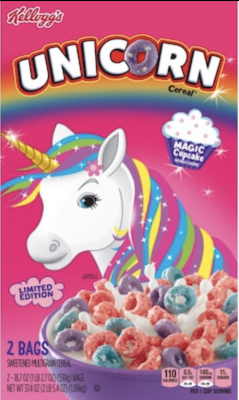 Who could miss a bright pink box with a rainbow-maned unicorn on it? According to this study, the average adult spends more than two hours every day on social media. That’s creeping steadily closer to the amount of time we spend in front of the TV. With audiences scrolling endlessly through news feeds, products need to stand out to be memorable. Unlike the way that packaging is often displayed in TV commercials, social media, with its memes and “look at me” culture, the packaging itself becomes the marketing media that customers connect with. Part of the allure to social media is the reward of sharing things with our respective peer groups. We’re social by nature, and the sense of approval or excitement is enjoyable – it’s why people share so much of themselves online. Good packaging, just like a good name or catchy slogan, means that users are more likely to share the product with their followers. This stirs up excitement and greatly amplifies word-of-mouth marketing. Influencers, with their vast networks of followers, can drive sharing even further. TV ads average 30 seconds, and an ad that’s in a magazine next to an article may be in front of a customer’s eyes for several minutes. But with social media, audiences scroll by with remarkable speed. Companies may only have a few seconds – or less – to make their product stand out to prospective customers. This helps to explain the trend towards minimalism that we’ve seen over the past few years, such as the package redesign for Subscribe Pro’s client RXBAR. With classic colors and a clean design, RXBAR immediately conveys A) what the product is and B) what’s in it, all while looking great and identifiable for gym selfies. At the end of the day, the goal is always the same – turn browsers into buyers, and buyers into regular customers. Convincing customers to buy – and then to share the brand with friends, sign up for an auto delivery program, etc – companies have to capture a customer’s attention and then get them excited about being associated with the brand. Attractive, effective packaging is the first way to do that.